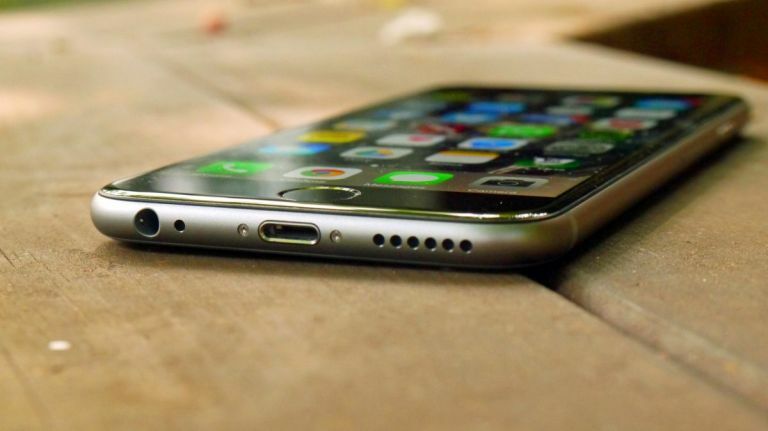 Do more with your iPhone 6, iPhone 5S, iPhone 5C and more! No smartphone has dominated the last decade like the iPhone has - Apple sells tens of millions of these devices every single month, and our appetite for the slimline handsets shows no signs of waning just yet. But are you making the most of your shiny gadget? Below are some of our favourite tips for using the iPhone, all of which work with the models and software released over the past couple of years. Stop using your iPhone the same way everyone else does, and start exploring some of its more advanced features. The Today screen (and Notifications page) on your iPhone is where you're going to be spending a lot of time, so it's worth your while making sure it's set up the way you want it. Drag down from the top of the screen, then tap Edit at the bottom of the Today tab - the subsequent screen lets you pick exactly which widgets appear in the window and how they're arranged too. The Control Centre provides quick access to a variety of useful toggle switches and media controls, but it can tend to get in the way if you're using full-screen apps (like a video player or an ebook reader perhaps). To disable the Control Centre temporarily or permanently, head to its entry in the Settings app and set the options accordingly - you can hide it within apps, on the lock screen, or both. Scroll across from the default photo and video options in the camera app and you'll find there's lots more to explore: square pictures (for your Instagram feed), panoramic shots, time-lapse and slow motion. When you're taking a photo, you can tap once to apply the focus and then drag up and down on the screen to change the exposure - if you need more or less light in a shot then it's handy. Apple has opened the door just a crack to developers of third-party photo editing tools - these apps can now be accessed directly from the Photos app, giving you more flexibility when it comes to touching up your pictures. Choose a picture, tap Edit, then tap the menu button (three horizontal dots) - choose More and you can activate any of the installed apps. Afterlight and Camera+ are good options to try. With iOS 8 (or above) and OS X Yosemite (or above), all of the devices you've signed into with your Apple ID are linked, and you can make or answer calls from your Mac or iPad if your iPhone is on the same local network. Delve into the FaceTime Preferences screen on both your Mac and your iPhone and ensure iPhone Cellular Calls is enabled - assuming you're signed in on both devices, that's all you need. Did you know you could shake your iPhone to undo the most recent action? Give your handset a quick shake from side to side and you can undo (or redo) plenty of tasks, including typing text, copying and pasting, deleting text and everything else text-related. If you've just accidentally deleted a lengthy message to your friend before hitting send, shake to undo can prove very useful indeed. Everyone knows about Apple's digital assistant Siri, but not everyone realises just how many ways she can help out: try asking Siri to "turn off Bluetooth" or "adjust the screen brightness", for example, or telling her to "wake me in 30 minutes" if you don't want to go all the way through the Clock app. To see a full list of everything within Siri's capabilities, just ask "what can do you do?" (or tap the question mark on screen). There are plenty of handy options in the Accessibility menu under General in Settings, even if you don't have problems with your hearing or eyesight. One of these flashes the LED light next to the iPhone camera if you get an alert, so you can see there's a notification even if your phone is upside down: just tap the LED Flash for Alerts option to toggle it on and the change takes effect. Here's a neat feature built into the iPhone Clock app that you might not have come across before: if you switch to the Timer tab and set your countdown, you can then tap on the When Timer Ends option and choose Stop Playing instead of one of the ringtones - this stops whatever audio app you have playing, whether it's Spotify or a podcasting app, so you can drift off to the land of nod more easily.